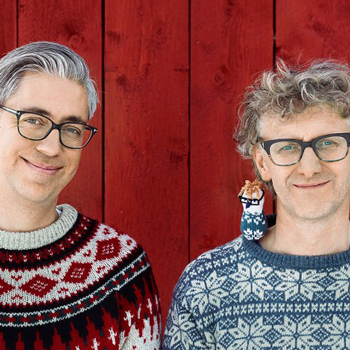 Join thousands of knitters worldwide for a Nordic adventure - without setting foot in an airport! 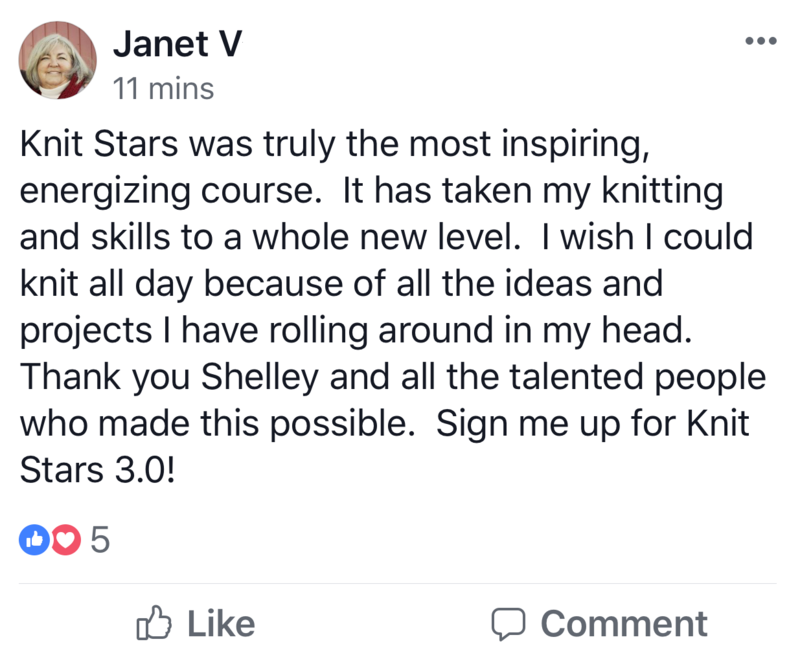 Knit Stars 3.0 is an all-online learning adventure you don’t want to miss! 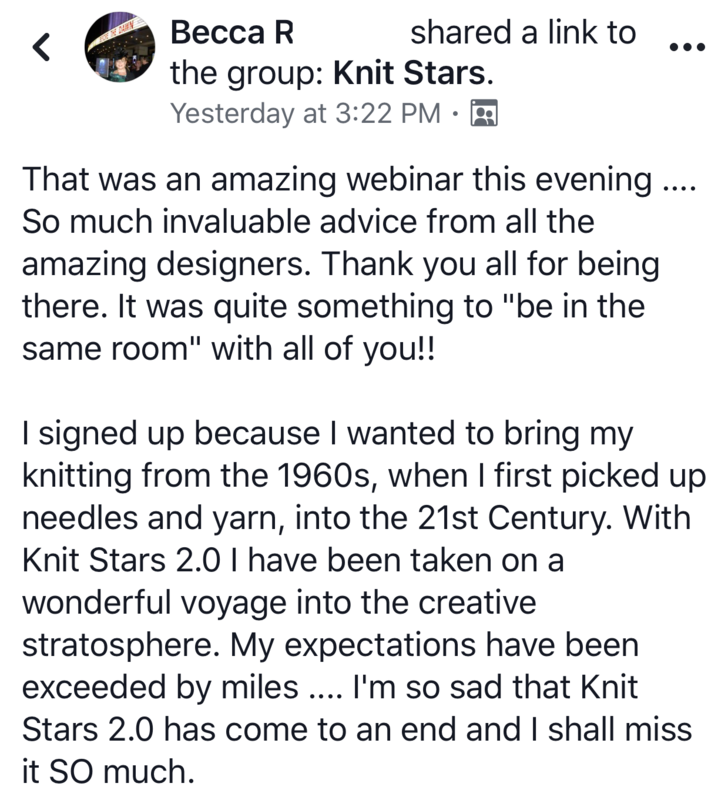 Knit Stars 3.0 is a virtual conference with instruction taught through high-quality HD video lessons. Learn from 12 of the most sought-after designers and instructors, and get a peek inside their private work spaces. The Stars' workshops are released one-by-one during the summit - and once a workshop is released, you own it forever. Watch it again and again! Each Star's workshop is fully transcribed, so you can download the PDF to have next to you while you watch the lessons. IMPORTANT: If you already own Knit Stars 1.0 or 2.0, please make sure to "SIGN IN" first on the checkout page so that you can access all of your courses from one account. 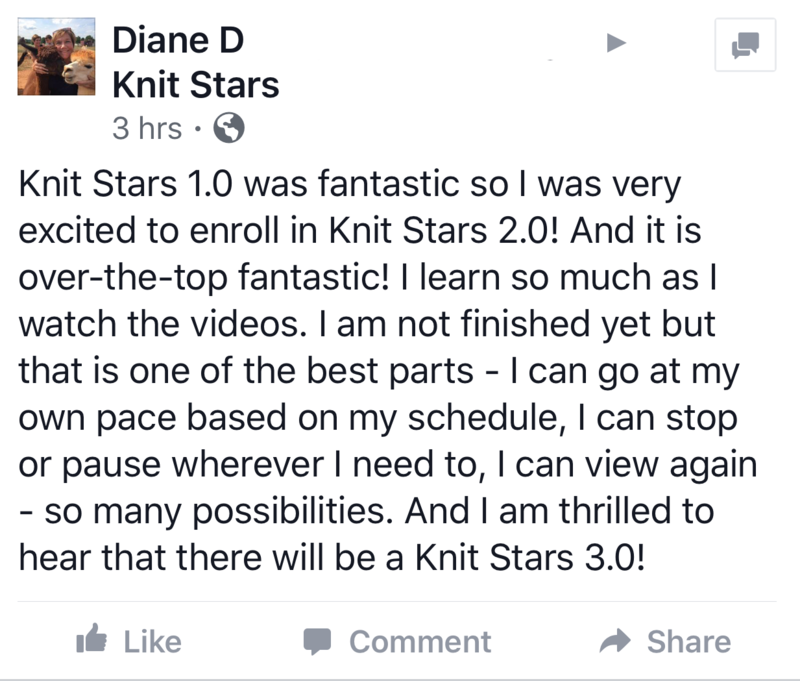 ENROLL IN KNIT STARS 3.0 NOW! Meet Your 12 Amazing Instructors - From 5 Different Countries! 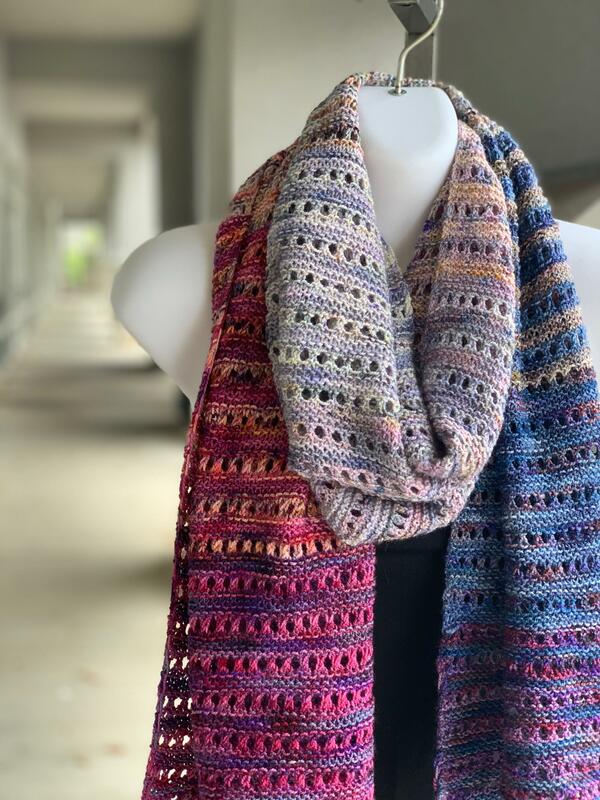 From beautiful Victoria, British Columbia, Andrea introduces you to her magical world of colorwork motifs! Tips for managing your little balls of color, adding colors and more... including a Knit Stars exclusive motif to try! 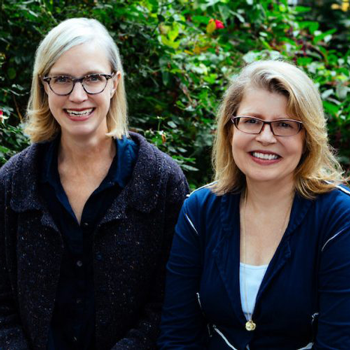 This Nashville/New York duo only have one rule: Knitting is supposed to be fun! 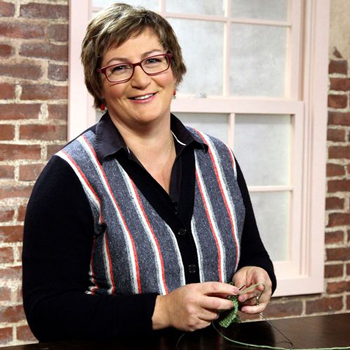 If you're feeling stuck or uninspired, Ann and Kay will provide you with the best tips, tricks and laughs to rediscover your joy for knitting. 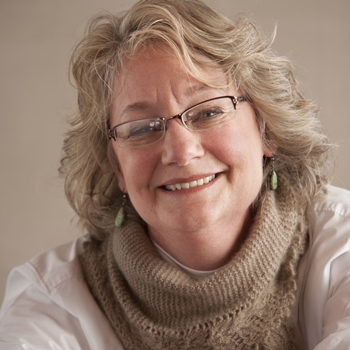 In Ann Budd's capable hands, you CAN master the much-feared steek! And even learn to expertly add zippers and buttons to your steeked pieces. Brilliant! Travel into the mountains of Norway for exclusive access to ARNE & CARLOS' home studio! 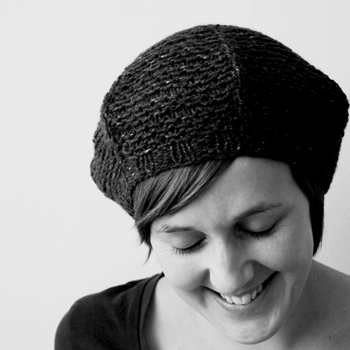 Learn to knit and purl the Norwegian way, then take on a Master Class on Norwegian colorwork! Tension, floats, weaving in ends... you'll be an expert in no time! Includes an original mitten pattern. This is the workshop you didn't know you desperately needed! 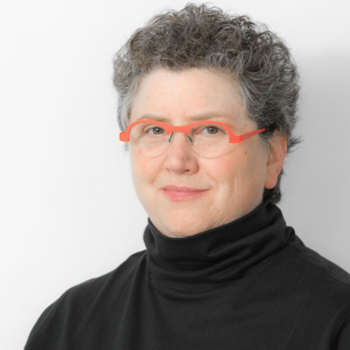 Carson, Ergonomist and lifelong knitter, gives you critical tips to improve your knitting posture, comfort, and efficiency for lifelong knitting health. 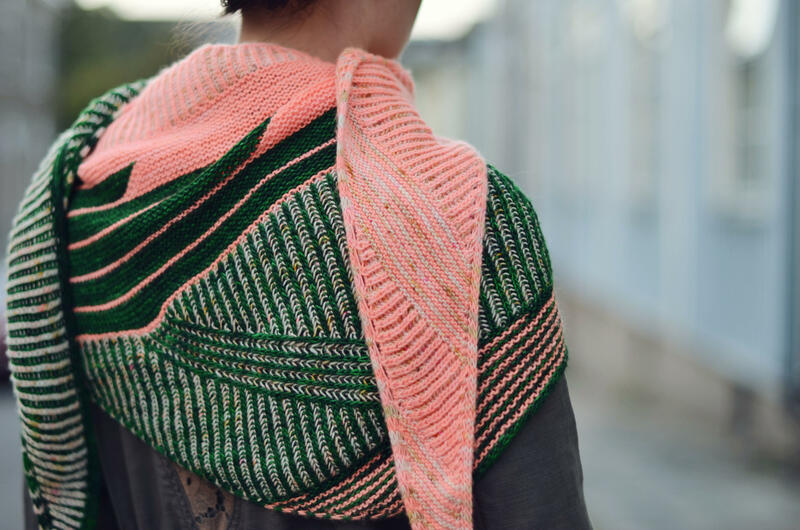 From Silicon Valley, the brilliant Cecelia takes you on a deep dive into her ingenious Sequence Knitting technique. 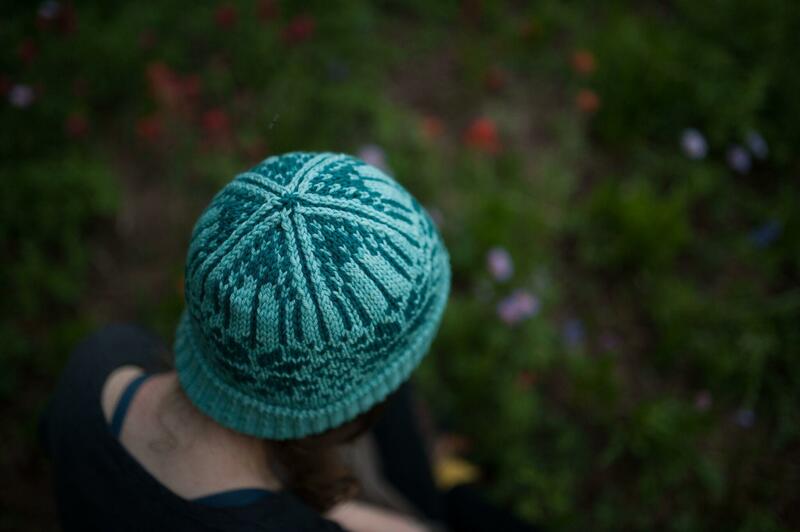 From simple, meditative 1-row knitting to colorwork and the "serpentine method," you'll soon be addicted! From her studio on Fano Island in Denmark, Christel teaches you to paint with yarn! 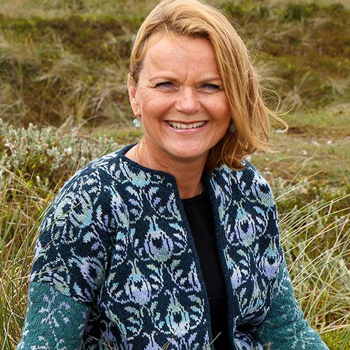 You'll learn all of her Scandinavian fair-isle secrets - making magic balls, steeking, no more sewing in ends! Not to be missed. Lorilee begins with a valuable lesson on how to learn from instructors whose style differs from yours... then launches you into the fascinating world of vertically stranded color work. Add this technique to your knitting paintbox! 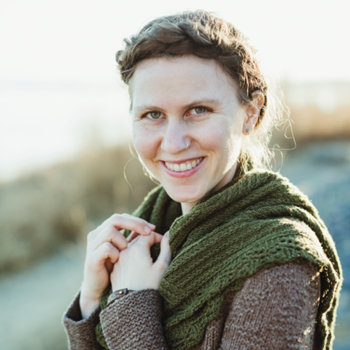 Through her new, Knit Stars exclusive cowl pattern, Mary Jane will teach you a myriad of fair isle patterns. Along the way she'll share her best tips for getting inspired, testing colors, and creating the perfect mood! Join Veera in her home studio outside of Helsinki for a study in stripes! Back-and-forth, in the round, jogless, even vertical... you'll take your striping to a whole new level. 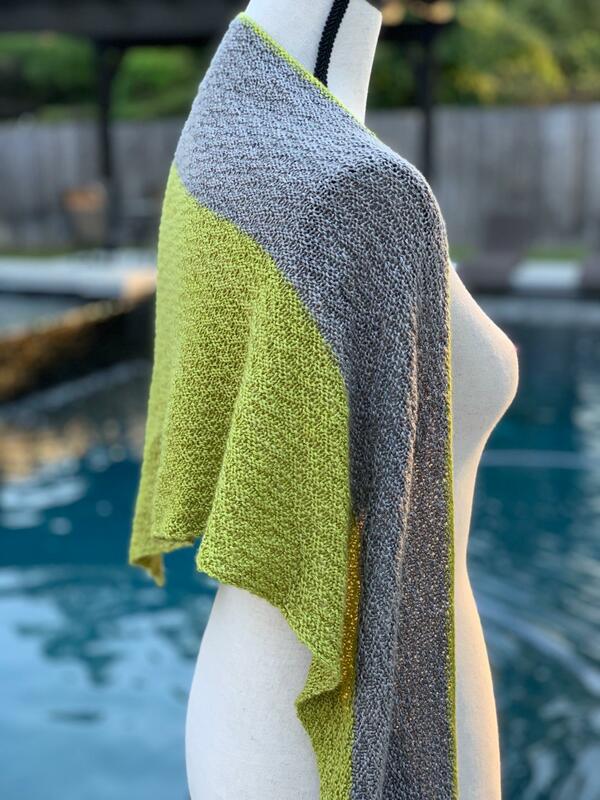 Includes short row tips and a new, exclusive shawl pattern! 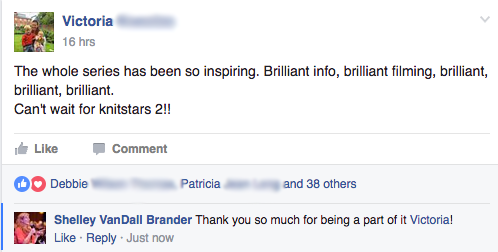 Our friendly and supportive Facebook group lets you get advice and stay inspired. Our Stars answer your questions live - it's like chatting with them all at once in your living room! Discounts and patterns from your favorite designers, including some that are exclusive to Knit Stars 3.0 enrollees. You'll have the option to purchase exclusive yarns made just for Knit Stars by some of the hottest dyers. Save $30 off the regular price of $229 by enrolling today! It's about expanding your horizons, feeling more confident, and getting re-inspired and re-invigorated with your craft! Watch the video below to see some sneak peeks from Knit Stars 3.0! Even Better Than a Live Event! Step inside their home studios, creative spaces, and inspiring surroundings to see what makes them "tick"
Get access to every hot instructor – no need to choose! The best part? The ability to press "pause" and "rewind" in case you missed something or forget later! When do the lessons start? 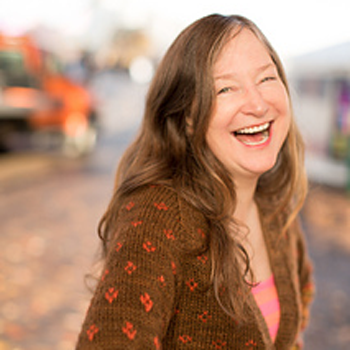 Knit Stars 3.0 starts November 26 and is a three-week online conference that runs through December 14. You don't need to travel or be anywhere except the comfort of your home! A new workshop will be released every other day, and you own your videos and handouts forever, so you can refer back to them anytime you want to. I'm excited and want to start now! Can I do Knit Stars 1.0 and 2.0 while I wait? Yes! 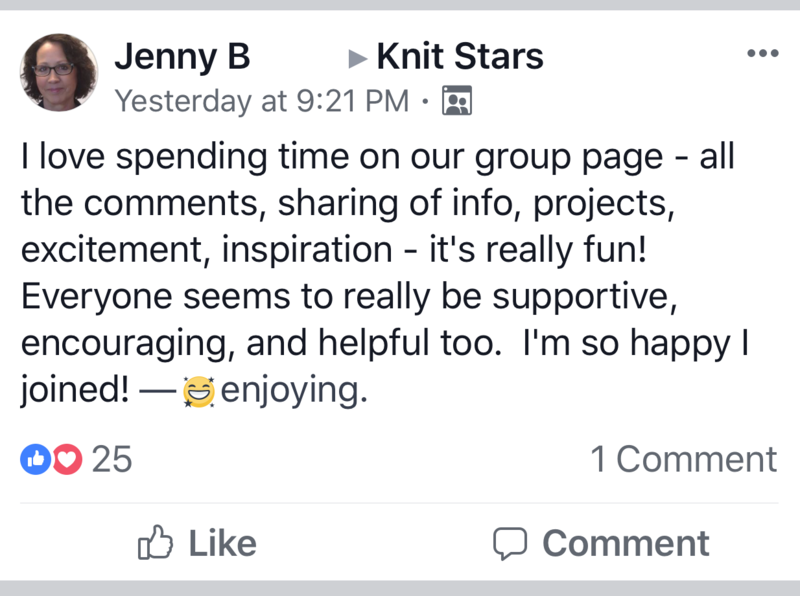 After you checkout for Knit Stars 3.0, we'll share information on prior Knit Stars summits and how you can enroll and start learning right away. 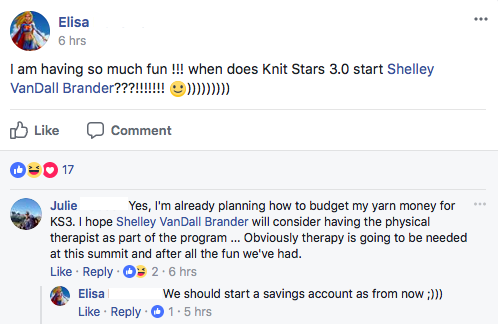 I took Knit Stars 1.0 or 2.0 last year but need to update my credit card info. No problem! You'll have the chance to update your card information from the checkout page, after you click the yellow "Enroll" button below. What's your refund policy? We're happy to offer a full refund before the event starts on November 26, 2018, no questions asked. How long is each Star's workshop? 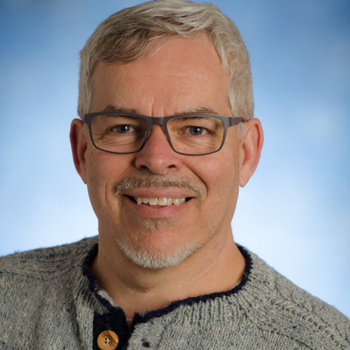 There are 10 workshops, and each workshop is approximately 60-90 minutes in length, broken up into short "lessons" to make them easy to come back and watch later when you're looking for something in particular. 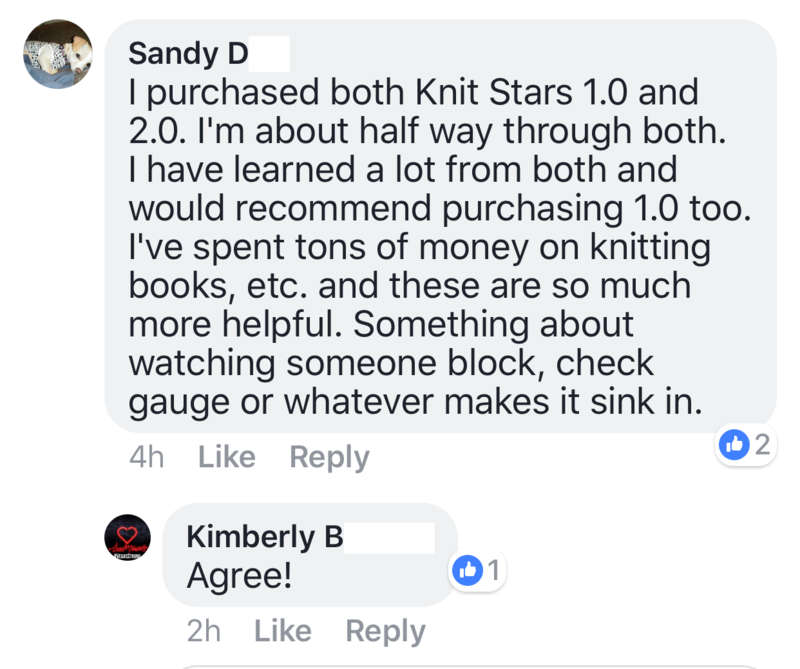 Do I need to have taken Knit Stars 1.0 or 2.0 in order to take Knit Stars 3.0? No - they're not sequential. What if I get busy and can't watch the videos when they're released? Your video lessons never expire. You own them forever and you can watch them as many times as you need to. You can even download the lessons if you know you'll be somewhere with a slow or non-existent internet connection! Can I watch the video lessons on any device? Yes! You can use your computer, tablet, or even your phone to watch the video lessons - as long as you have a web browser, you can log in to your student portal to access the videos. Can I give Knit Stars as a gift? Absolutely! Simply use your credit card information, and your gift recipient's email address and name, upon checkout. This way your gift recipient will receive all the communications and updates related to Knit Stars. I'M READY - ENROLL NOW! 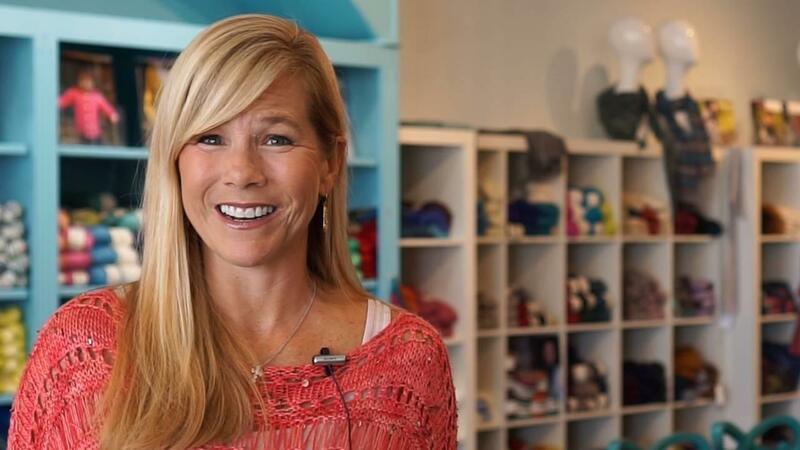 Shelley Brander owns Loops Yarn Store in Tulsa, Oklahoma, as well as loopsclub.com and loopslove.com. She's been knitting for over 30 years.